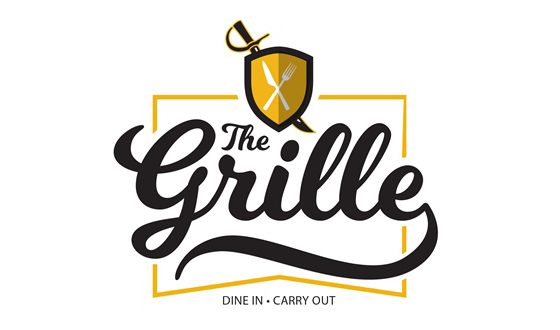 Located on the first floor of Lyle Hall next to the Cove, The Grille is a full-service restaurant, serving lunch on weekdays to students, faculty, staff, and the community. The Grille features a fresh salad buffet with soup, bread and dessert. We also offer several entrees, sandwiches, and a daily special. The Galley offers a wide range of food court selections. Selections include: ever-popular Mixing Bowl, cheese steaks, International Station, and chicken tenders. Try our Wood Stone pizza and pasta stations featuring our own freshly made pizza dough and whole wheat pasta. Stop by for a made-to-order deli sandwich or enjoy one of our hot soup selections. 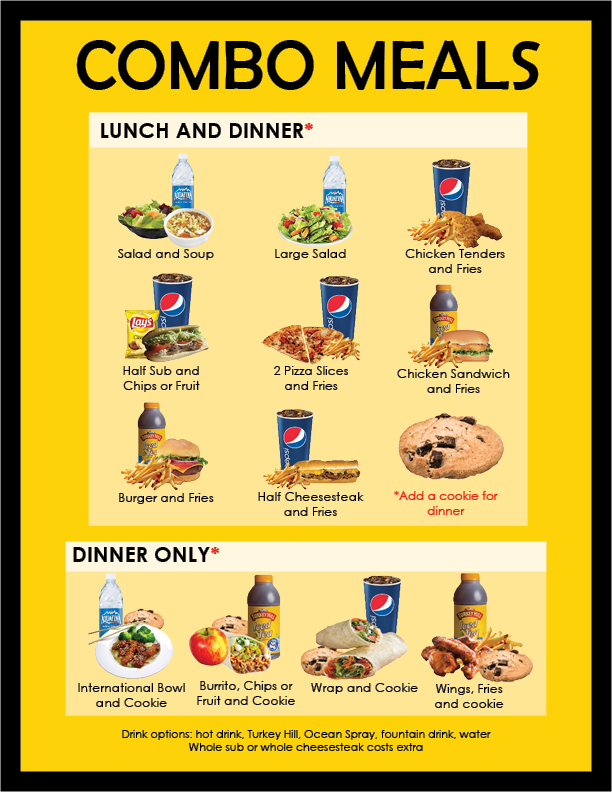 Click here to see our meal options. Lunch 10:30 a.m. - 3:30 p.m.
Dinner 3:31 p.m. - 8:00 p.m.
Late Night 8:01 p.m. - 11:00 p.m. The Anchor, located on the first floor of Gordinier Hall, is a deli-convenience store, offering fresh deli sandwiches and wraps, pizza, burgers, sushi, groceries, frozen foods, fresh baked items, and a large selection of fountain, bottled and hot beverages. If you prefer a cold dessert, check out the many delicious flavors of soft-serve and hand-dipped Turkey Hill ice cream available in The Anchor. The Anchor's dining area is wired for Internet connectivity. Lunch 8:00 a.m. - 3:30 p.m.
Late Night 8:01 p.m. - 9:00 p.m. 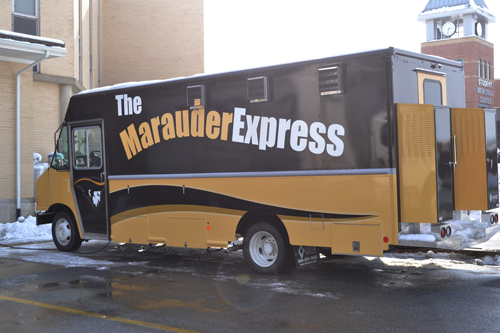 The Marauder Express is our university food truck which serves the campus community during special events. The food truck offers breakfast sandwiches, burgers, fries, cheesesteaks, and more around campus and at sporting events. It is home of the tasty Ville-A-Nator. Please contact us for your special event. 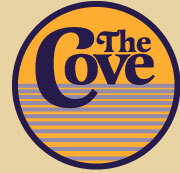 The Cove is a deli-convenience store, offering fresh deli sandwiches and wraps, pizza, burgers, groceries, frozen foods, fresh baked items, and a large selection of fountain, bottled, and hot beverages. The Cove’s seating area is wired for Internet Connectivity. Lunch 10:31 a.m. - 3:30 p.m.
Dinner 3:31 p.m. - 5:00 p.m. 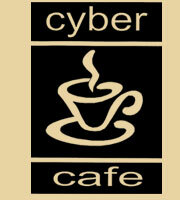 The Cyber Cafe is located on the lower level of Caputo Hall. The Cafe carries a variety of bakery items, sandwiches, salads, fruit, snacks and fresh ground coffees, and is a great place for your Internet connections. Lunch 10:31 a.m. - 2:00 p.m. The Juice Bar offers smoothies that can kick-start your workout in the Fitness Center, help you cool down afterward or just give you that little boost. 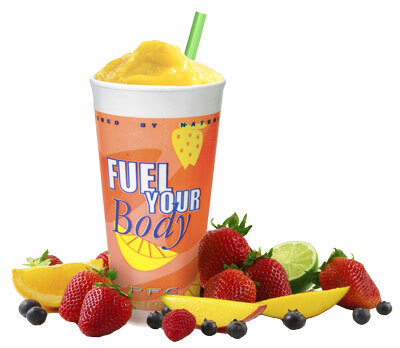 All shakes are made from 100% vine-ripened fresh fruit with no added sugar and no artificial ingredients or color. Start your day with organic coffee or tea and bakery items such as bagels and muffins. We also offer healthy and low fat snacks, bottled water and Gatorade. 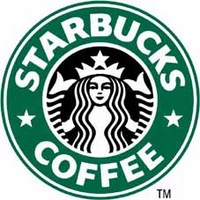 Here, we proudly brew many of your Starbucks favorites, featuring fair trade coffee, lattes, mochas, cappuccino, espresso, flavored coffees, specialty cold drinks, and upscale pastries.